It seems like every day there’s something new to be wary of on the internet. This time, it’s a Twitter hoax that went viral, leading to hundreds – if not thousands – of deleted accounts. While many of you may be shaking your heads when you see it, the original version of the hoax was retweeted over 30,000 times, and it seems as though plenty of people fell for it. 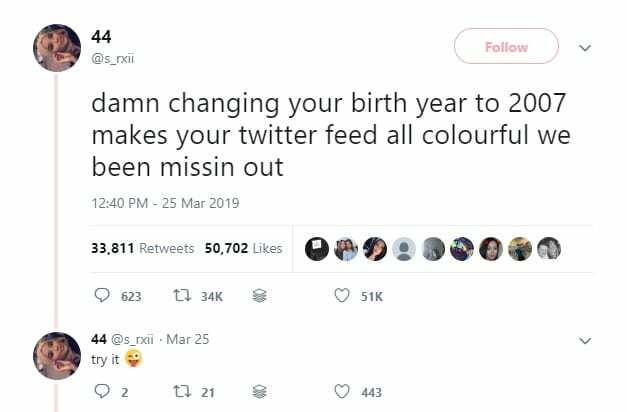 What is believed to be the original tweet simply stated that if you change your birth year to 2007, it will turn your Twitter feed into a colorful version that only 12-year-olds are able to access. Some people even tweeted colorful tweets to show what that looked like… Of course, this turned out to be a Twitter hoax that has now led to plenty of accounts being deleted from the social media platform. 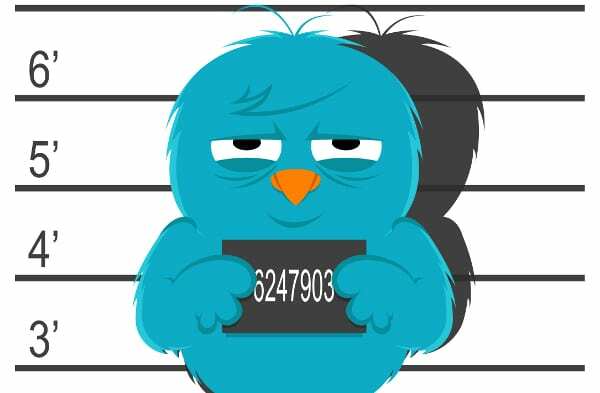 Unfortunately, it seems as though lots of people were reeled in by the thought of having a pretty, colorful Twitter page and fell for the scam. While exact numbers aren’t known, because those who did get locked out couldn’t tweet to share their annoyance, it’s thought that hundreds – if not thousands – of people may have fallen for the prank. Even Twitter decided to step in and release a statement warning people against changing their birthday to unlock new color schemes. The moral of the story here? Don’t believe everything you read on the internet! It seems as though lots of people have lost access to their Twitter accounts thanks to this viral hoax, and many have been sending in copies of their ID to try and get them back. If something doesn’t sound quite right, it’s best to do a quick Google search before you end up losing your social media accounts!